I&apos;ve got a special treat to share with Momtrends readers. 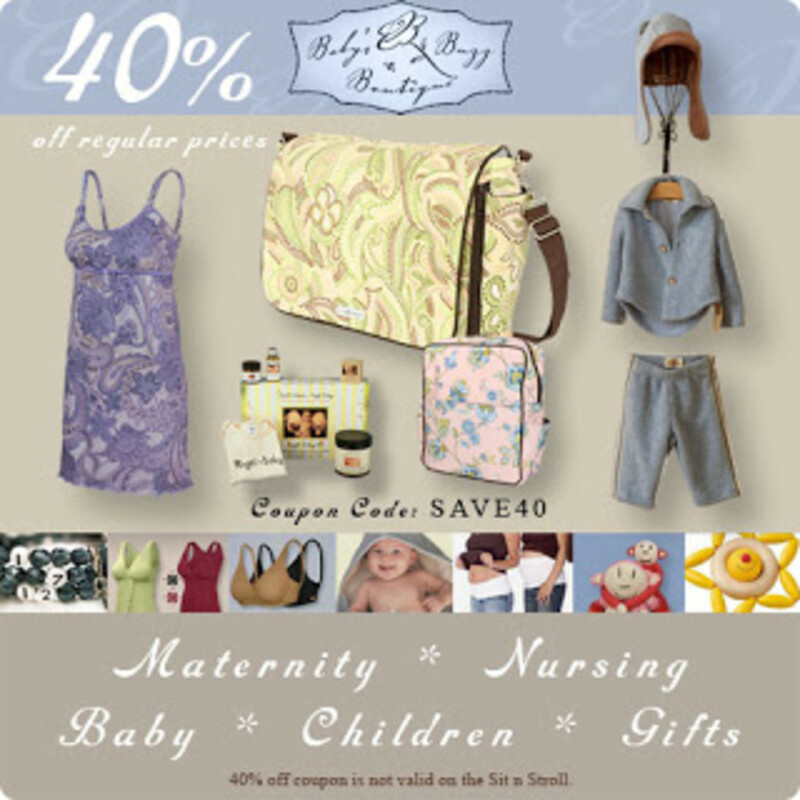 Baby&apos;s Buzz Boutique is offering a 40% savings off EVERYTHING! Sadly it is because after April, they are shutting the shop. For now, moms can save big. If you are pregnant, you won&apos;t be able to live without a Bella Band ($25.95) to keep those jeans up as your bump grows. Now is the time to load up on Majamasnursing wear. This line rarely goes on sale and is a joy to wear post-baby. And don&apos;t miss adding a few Essential Tanks from Bravado to your wardrobe before heading to the hospital ($47). Use coupon code: SAVE40 during checkout. And don&apos;t miss the and adorable children&apos;s clothestoys.